April brings the return of birds, flowers, and some of the most unique and classic cars to the Cumberland Valley. Each year, Carlisle Events and Cumberland Valley welcome more than 500,000 car lovers from around the world to the fairgrounds, looking for a fun, new experience. And they are sure to find it as the shows continue to evolve with special displays and special guests, automotive competitions, product showcases, street parades, and on-site car auctions. 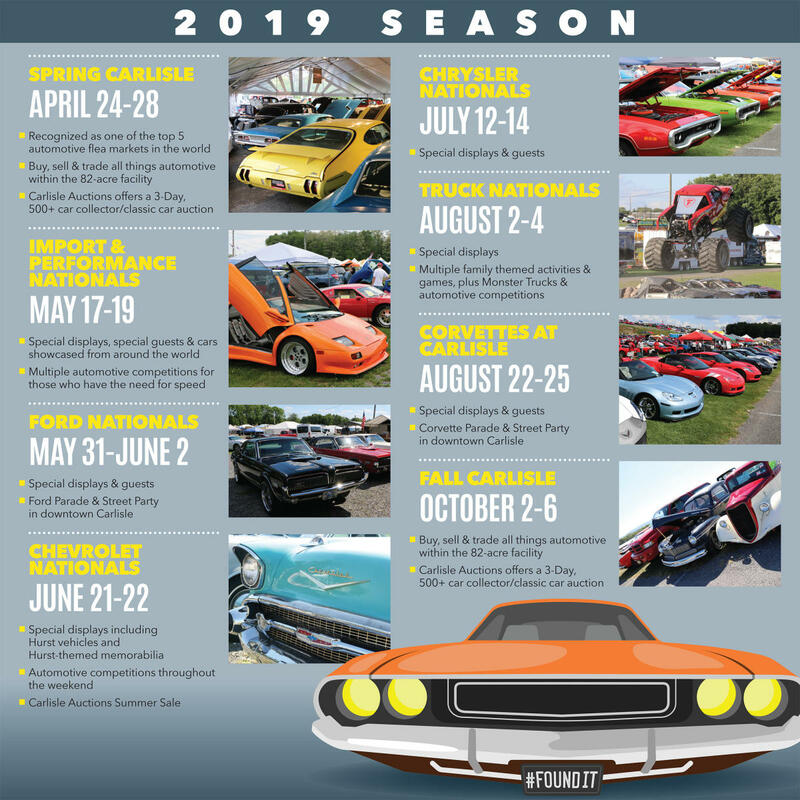 The 2019 season kicks off on April 24 with eight distinct auto events running through October. This year Carlisle Events celebrates the 50th anniversary of the "Summer of &apos;69". Guests will be treated to a 50-year “class reunion” as Carlisle Events spotlights some of the coolest cars to ever be produced during that iconic year. Looking to plan a weekend getaway? Check out our suggestions for the ultimate, 5-day, perfectly tuned and tested trip to hit all of Cumberland Valley&apos;s major automotive attractions (combined with a few other highlights). Plan your Cumberland Valley vacation and share your love of cars with other aficionados. Book your Carlisle auto show excursion today!